Google is under investigation in Australia following claims by Oracle that it collects data from millions of Android smartphones users, who unwittingly pay their telecom service providers for gigabytes consumed during the harvesting, regulators said on Tuesday. 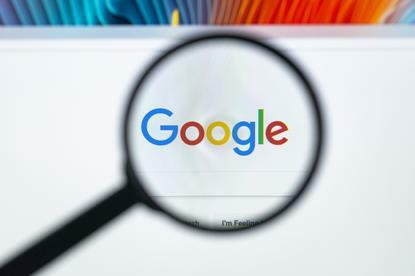 Responding to the latest privacy concerns surrounding Google, a spokesman for the US-based search engine operator said the company has users' permission to collect data. "We are exploring how much consumers know about the use of location data and are working closely with the Privacy Commissioner." Oracle, according to The Australian newspaper, said Alphabet receives detailed information about people's internet searches and user locations if they have a phone that carries Android - the mobile operating system developed by Google. The content of the Oracle report was not immediately verifiable. "Some mobile plans may only include a few gigabytes of data so if Google is harvesting a gigabyte of data, it is a very real cost to consumers," said David Vaile, chairman of the industry group, the Australian Privacy Foundation. "We are aware of the reports in the media and we have asked Google to advise whether they are accurate," a spokesman for Australia's biggest telecom company Telsta said. The investigations will raise more questions about the way big technology companies collect and use people's data online. Earlier this year, social media giant Facebook apologised after web marketing firm Cambridge Analytica was accused of obtaining users' data without permission for the 2016 election campaign of United States President Donald Trump. Oracle has its own long-running dispute with Google. The U.S. based software company is seeking royalties for Google's use of some of the Java language, while Google argues it should be able to use Java without paying a fee.